Thomas Edison was an American inventor who is considered one of America's leading businessmen. Edison created great innovations such as the practical incandescent electric light bulb, the telegraph, alkaline storage batteries, the phonograph and many more. He held more than 1,000 patents for his inventions and is credited today for helping build America's economy during the nation's vulnerable early years. 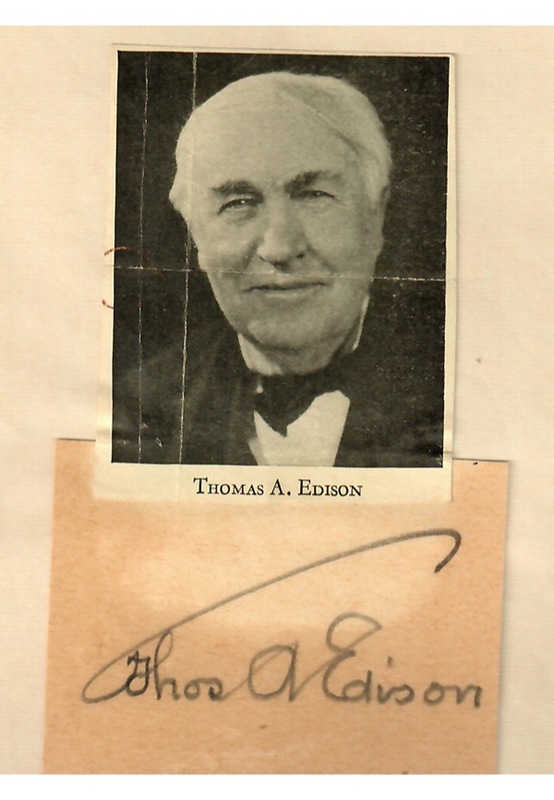 Offered is a rare autographed cut from the late Edison. 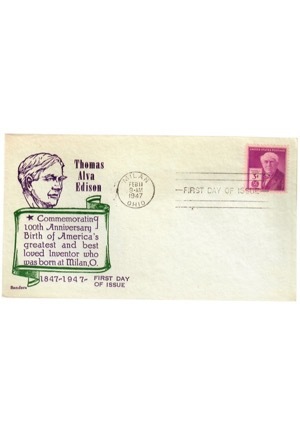 The 3x2”cut is boldly signed in pencil as “Thomas A Edison” and has been graded a 9 by PSA/DNA. Accompanied by a LOA from PSA/DNA.